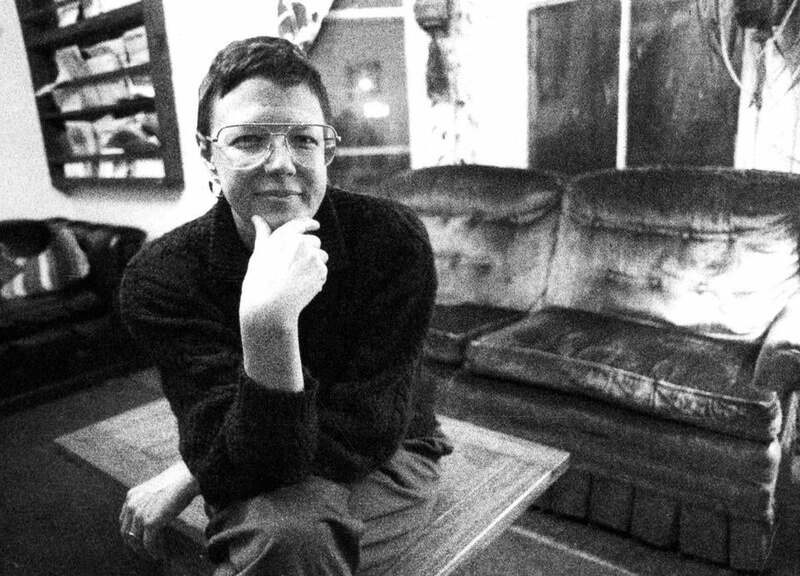 Jean Hardisty in February 1990. Social activism and left-leaning politics may have seemed an odd choice for a horse-loving young woman whose family lived on a 100-acre farm in Maryland, but friends say that idyllic childhood helped shape her into someone dedicated to economic equality and civil rights for women, gays and lesbians, African-Americans, and others she believed were marginalized. 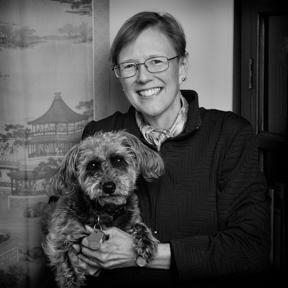 A senior scholar for the past decade at the Wellesley Centers for Women at Wellesley College, Dr. Hardisty died of non-Hodgkin’s lymphoma on March 16 in her Somerville home. She was 69 and had moved to Greater Boston from Chicago when she was diagnosed in the 1980s. Dr. Hardisty and her spouse, Peggy Barrett, who became a couple 16 years ago, met through mutual friends when both were working on the Women’s Community Cancer Project, a Cambridge organization that addresses issues faced by women with cancer. They married in January 2013. “She was an incredibly gentle person, and also incredibly sharp,” said Peggy Barrett of her spouse, Jean Hardisty (pictured). Dr. Hardisty’s cancer was in remission for 25 years before returning less than three years ago, Barrett said. In a 1990 Globe interview, Dr. Hardisty said she considered herself more fortunate than many female patients, since she had a job, a home, good health insurance, and had neither children nor aging parents to care for. The second of two children, Jean Virginia Hardisty grew up in Washington, D.C., until her family moved to a farm in Maryland’s Anne Arundel County when she was 12. She went to Holton-Arms, a private girls’ school in Bethesda, Md., and graduated from Northwestern University with a bachelor’s degree in art history. She received a master’s and a doctorate in political science at Northwestern, where she taught for eight years before founding Political Research Associates in 1981. A staunch liberal, Dr. Hardisty focused much of her research, teaching, and writing on the emergence and evolution of the political right in recent decades and the development of groups such as the Tea Party movement. She often attended conservative meetings and conferences in an effort to understand and analyze the impact of organizations such as the John Birch Society and Promise Keepers. Barrett said Dr. Hardisty was always forthright about her own politics when attending such events. Through open discussion, she wanted to learn how conservative leaders influenced their followers. Dr. Hardisty wrote for many publications and served on the boards of organizations including the Center for Women Policy Studies in Washington, D.C., and the Ms. Foundation for Women. In addition to Barrett and her brother, Dr. Hardisty leaves a stepson, Roben Kleene of Queens, N.Y.; a stepdaughter, Katherine Uttech of Evanston, Ill.; and a step-granddaughter. A service will be held at 11 a.m. Saturday in First Church Somerville UCC in Somerville. When Dr. Hardisty realized she probably wouldn’t live until her 70th birthday in June, she moved ahead the party she had planned and “invited all her best friends over,” Chamberlain said. At the party, Dr. Hardisty spoke for a few minutes about what each guest meant to her. “We all thought of ourselves as her best friends,” Chamberlain said.